Whitebox staples for an affordable alternative to brands. Staples allow for easy fastening of documents. 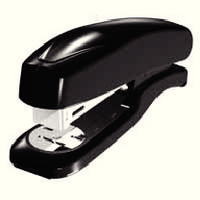 Work in your stapler without blockages. Prevents the loss of information. Quality construction is designed to last. Metallic Finish. Pack of 5000. Approx Dimensions (CM): D8 W5.5 H2.8. Approx Weight (KG):0.1351.